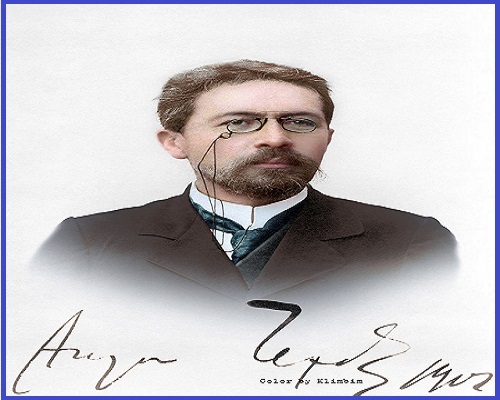 Motivational Quotes on Anton Chekhov:- Anton Chekhov was a Russian playwright and short-story writer, His full Name Was Anton Pavlovich Chekhov, who is considered to be among the greatest writers of short fiction in history. He was the third of six children of Pavel Egorovich Chekhov, a grocery store owner. Chekhov’s grandfather was a serf (a peasant who lives and works on land owned by another) who bought his. Anton Chekhov was born on January 29, 1860, in a small port town on the Sea of Azov in the Crimea. And he died on 15 July 1904. His grandfather was a former slave who bought his own freedom. In what is perhaps the best-known remark Chekhov ever made about his life, he said he felt the necessity to “squeeze the slave” out of himself. Chekhov’s father, Pavel Egorovich, owned a small general store in which Chekhov worked as a child. Despite economic hardship, Chekhov was a talented student. In 1879, he left Taganrog to attend medical school in Moscow. At this time, he felt the pressure of being the head of the household. His father was no longer earning a living. Chekhov needed a way to make money without abandoning school. Writing stories provided a solution.